These pencils were a great giveaway at our county fair. We can spread the message of Life in a non threatening way. 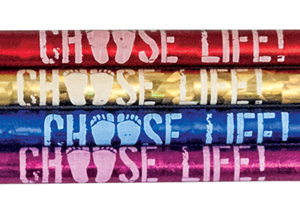 These colorful pencils with their life affirming message are a great handout at our county fair booth. Kids love them and pick them up each year. The message is carried home with them to school or wherever they go. 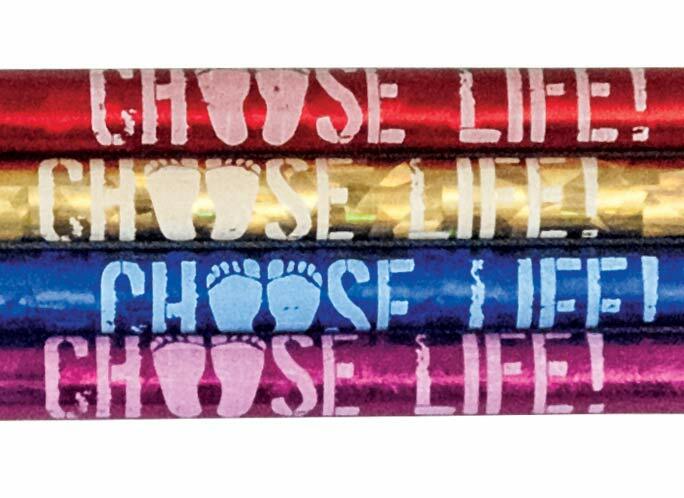 We gave away these pencils at our prolife table at our parish picnic which was right before the beginning of school. 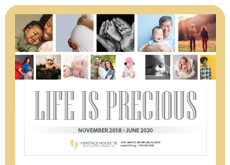 What a perfect time to spread the prolife message that will be used all year long during classes!